Posted October 1st, 2015 by adminstop . Bed Bugs! The thought of them gives an itchy feeling to your skin! They are the biggest problem faced in many homes, hostels and hotels. They multiply so fast. The female bug has the capacity of laying 500 eggs in its life time and so it is of no wonder that the bed bugs multiply so quickly. You need to act fast or you will have an army to deal with in no time. 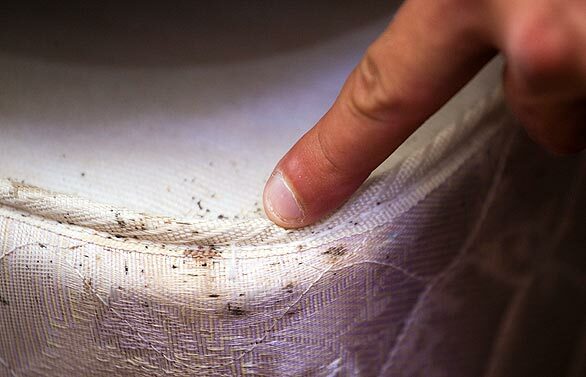 According to MOE licensed bed bug exterminator Toronto, a bed bug treatment should start the moment you see a bug. If you find them on your bed first spray alcohol on them. Remove the mattress. If it is washable, wash it in 120 degrees of heat or more. If the mattress is not washable, dry it in hot sun for at least 2 days. If it is winter you can give the bugs cold treatment, but it takes longer time for the bugs to die in cold. So you have to leave them in cold for longer time. Start to look for bed bugs. Check all corners, furniture, spaces between beds, cracks, curtains and all other possible places. Vacuum them carefully and you should take proper care in disposing the vacuum bags. You can also spray steam by using high powered steam cleaner that are available in the market. Spraying insecticides will help you in eradicating the bed bugs, but they may cause health hazards to your family members. You should avoid pesticides if one or more of your family members have allergy problems or asthma problem. There are some natural products that are 100% pesticide free. You can also go for spraying neem oil or peppermint oil or clove leaf oil that will have positive effects on bugs, but will not affect the humans. Bed bug traps are also effective in eradicating bed bugs. You can also spray fossil shell powder on the cracks and on the possible places where bed bugs can hide. Fossil shell power will kill the bed bugs. Cover your mattress with zipped covers after cleaning them. Box spring encasement should be used to cover box spring. You can also spread some neem leaves on the bed. If you feel you have no time and patience to do all this and if you don’t mind spending some money, get the service of professionals to get rid of them. They know where to look for and they have a lot of equipment to put an end to be bug problem and you can have a bed bug free home without any stress.